Self Catering Country houses in Apulia. 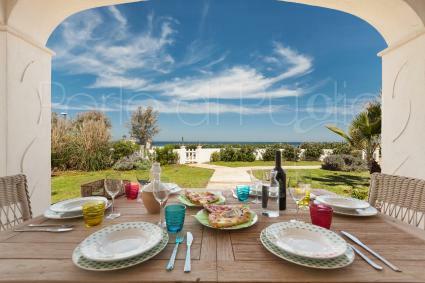 Charming Country houses of private and exclusive houses on the sea in Apulia rented. Holidays reservation and tourist information in Apulia Tourist Region of South Italy. Wonderful villa with pool on the promontory that overlooks the Zinzulusa and Romanelli caves on the Castro - Santa Cesarea seaside. This villa consists of 4 bedrooms, 3 bathrooms, refined and elegant interiors with panoramic view. 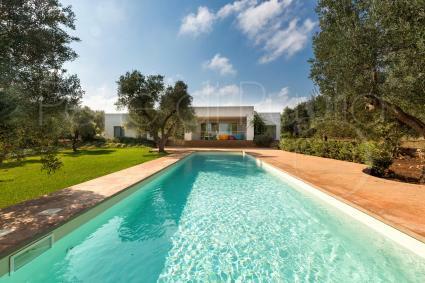 Ultra-luxury villa in Ostuni divided in a main unit and two outbuildings (trulli). A total of 6 bedrooms and 5 bathrooms. Swimming pool with panoramic view on the valley. Exclusive services. Maximum privacy, comfort and well-being. 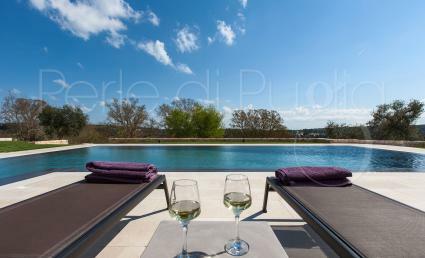 Casa Murredda is a luxury villa with pool for an exclusive vacation in the Itria Valley, in Ostuni. 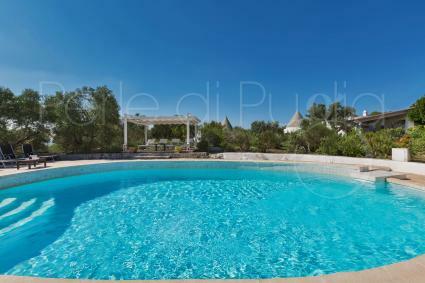 The villa is surrounded by a large garden and it`s characterized by the renovated trulli, equipped with every comfort. With 6 bedrooms and 7 bathrooms, it can accommodate up to 12 guests. Villa Rosalorè is a charming villa with a salt water pool to spend a holiday in Salento, af ew minutes from the sea of Ugento and its beautiful beaches. A designer villa equipped with internet, barbecue and all modern amenities. It has 6 bedrooms and can accomodate up to 13 people. Villa Marinè is on a hill, 2 kilometers away from the beach of Pescoluse. 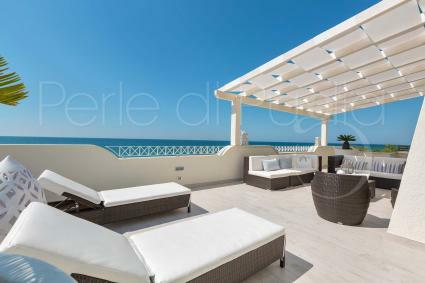 With its beautiful equipped terrace and view on the sea, the house consists of 2 double bedrooms, living room with kitchenette and 2 bathrooms. It can accommodate up to 8 guests. Pet friendly. 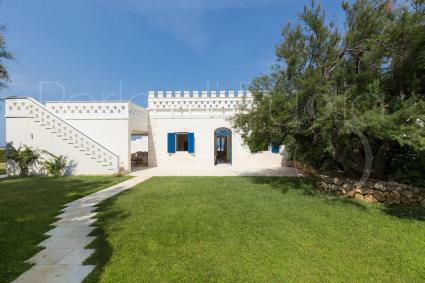 La Fuggiola is a villa with trulli and swimming pool in Mediterranean style, in the countryside of San Vito dei Normanni, in the province of Brindisi. It has 6 bedrooms and 4 bathrooms, so it is ideal for families and groups up to 10/12 people. 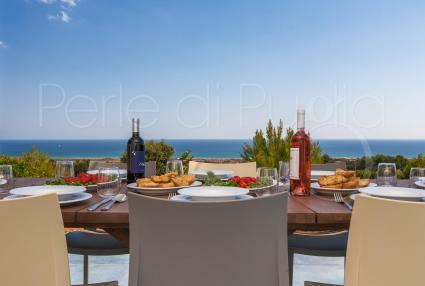 Torre Uliveto is a holiday home with pool and view on the sea, 3 kilometers far from the beaches of northern Salento. It consists of 5 bedrooms and it can accommodate up to 12 guests. 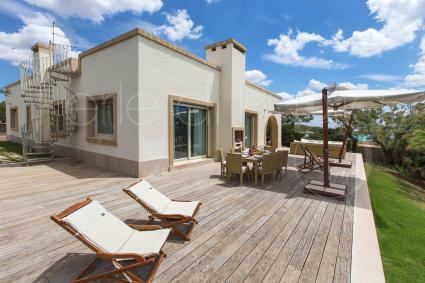 Stunning luxury villa in Porto Cesareo, with access to the beach of Torre Castiglione, near Torre Lapillo and Punta Prosciutto. With 3 bedrooms and 3 bathrooms, refined furniture and near the amenities. It can accommodate up to 8 guests. La Serrazza is a luxury villa with pool immesed in nature, a few minutes from the beaches of Pescoluse, on the Ionian coast. It has 4 bedrooms, 3 bathrooms, a living room, a kitchen and classic vaulted ceiling in the local stone, ideal for a group of 9 persons. 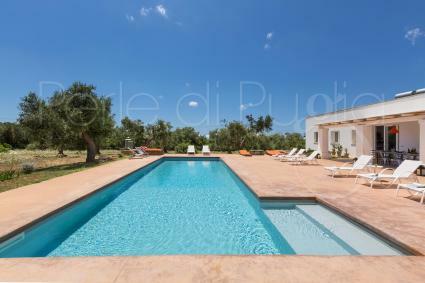 Villa with swimming pool and lawn located in the countryside of Ostuni: Villa Marchesini offers relaxation and comfort as well as a considerable accommodation capacity of 19 beds total, 9 rooms and 6 bathrooms. Casale con cipresso is a villa with swimming pool and dependance in Ostuni, with air conditioning, internet and pets are allowed. Immersed by the nature of Valle d`Itria, not far from the beautiful beaches of Alto Salento, it`s ideal for a group of friends or families of up to 12 people. 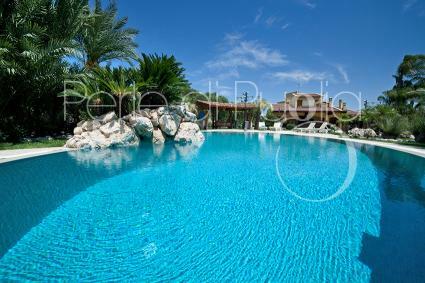 Perla degli Alimini is a luxury villa with pool, internet, barbcue grill, ping-pong table and other modern accessories. It`s ideal for a vacation with a group of friends. It`s in Otranto, near the beaches of the Alimini lakes. It can accommodate up to 12 guests and it`s pet friendly. 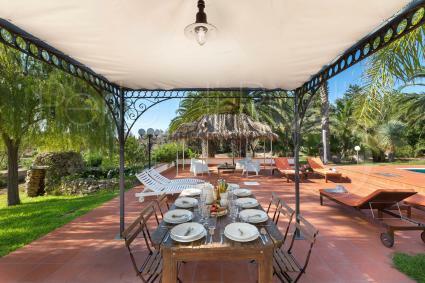 Villa Maria Clara is a prestigious villa with pool in typical Mediterranean style. Set on three levels, it consists of 5 bedrooms, 4 bathrooms, 2 living rooms and kitchens It is recommended to all those who intend to spend a holiday of enjoying and sports (swimming pool, tennis court, gym). 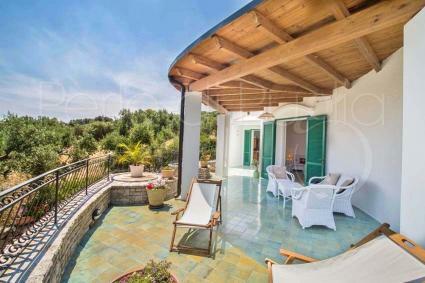 Villa Valeria is a prestigious luxury holiday home with pool and astonishing sea view on Torre Vado and Pescoluse. It consists of 4 bedrooms, 4 bathrooms, kitchen and living room. It’s ideal for a relaxing vacations, for a big family or group of people and it can accommodate up to 11 guests. 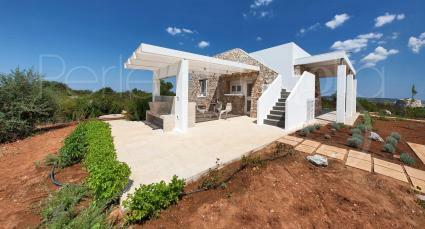 Prestigious entirely refurbished villa just a few minutes drive from the popular town of Gallipoli. The house consists of 4 bedrooms and 4 bathrooms, large kitchen and living room, outside there is a lawned garden with a pool of 120 mc. Accommodation capacity up to 12 guests. Casale Cimino is a lovely renovated rural house, with pool and minimalist but refined and elegant furniture. It`s 3 kilometers away from the beaches of Ostuni. 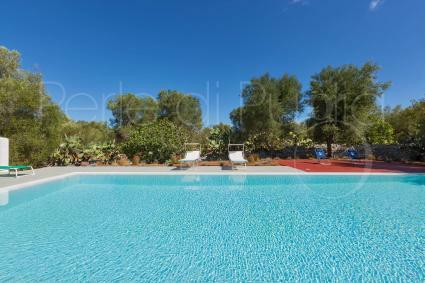 It`s ideal for a vacation in Puglia close to nature and it can accommodate up to 4 guests. 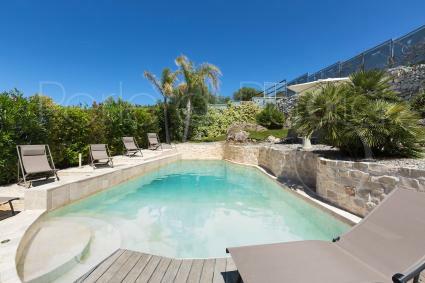 Villa Iside stands out for its amazing sea view and the large garden with pool. It’s on three levels with 3 independent units: 3 bedrooms with king-size bed, 1 bedroom with queen-size bed, 4 bathrooms and 3 kitchens. It can accommodate up to 10 guests. 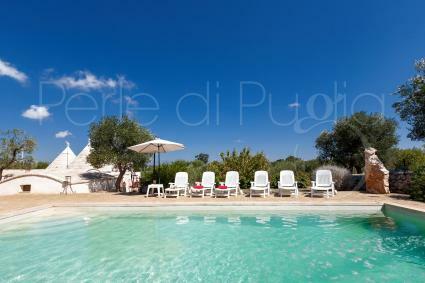 A charmingTrulli and Pajare with pool: that`s Le Cesare, a villa to spend a luxury vacation in Puglia, Salento. 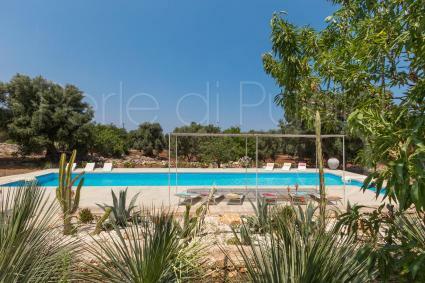 Immersed in the countryside of Capo di Leuca, just 4 kilometers from the beach of Pescoluse. All main services are present. The complex can accommodate up to 9 people. 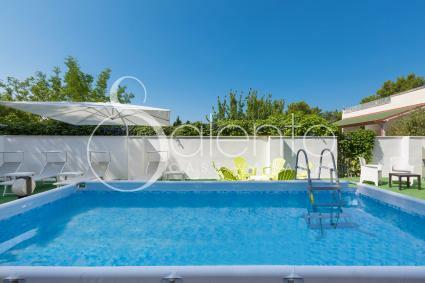 Charming villa with pool in Carovigno, just at 5 km from the sandy beach of Torre Guaceto. Located in open countryside, it has 5 bedrooms and 3 bathrooms and accommodates up to 12 people. 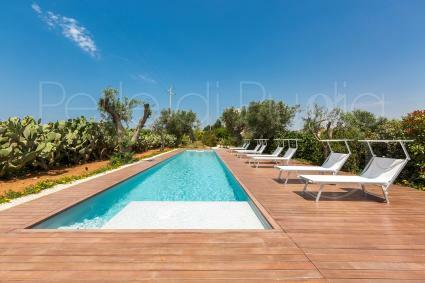 Contemporary villa with pool, 2 km far from the sandy beaches and the natural oasis of Torre Guaceto. It consists of 2 specular apartments, for a total of 4 bedrooms and 2 bathrooms and 9 bed accommodations. 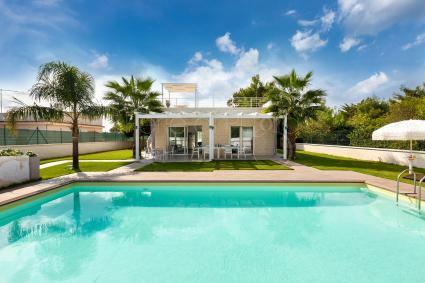 Modern villa with pool situated in Carovigno, near the beaches and the natural oasis of Torre Guaceto. Villa Sofia consists of 2 specular apartments, for a total of 4 bedrooms and 2 bathrooms and 9/10 bed accommodations. Villa Lisy is a beautiful design villa with pool and a stunning sea view, at less than 4 km from the Adriatic beaches. It has 3 bedrooms and large common areas, air conditioning and internet access, basicly the ideal holiday home for family holidays or groups of up to 7 people. Villa Itaca is a rental holiday home with sea view built in a modern style, to spend a vacation on the beach of Salento, in Pescoluse. It has a little pool, internet wi-fi, a barbecue, refined interior 3 double bedrooms and can accommodate up to 8 people. Animals are allowed. 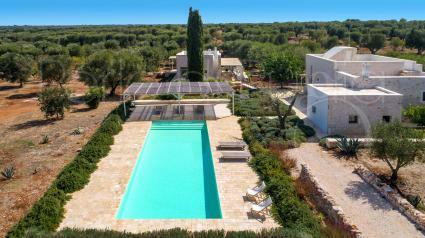 Trullo Luna is a complex of typical rural houses with pool in the countryside of Ostuni, Valle d`Itria. Every house offers all comfort, in total there are 6 bedrooms and 6 bathroom, good for 15 people. The prices variate according to the number of people that are renting the villa. Villa with pool in Ruffano, 15 km from the sea and 20 minutes` drive from Gallipoli. The property comprises 4 bedrooms, 2 bathrooms, 2 covered porches and beautiful swimming pool for the exclusive use of guests. 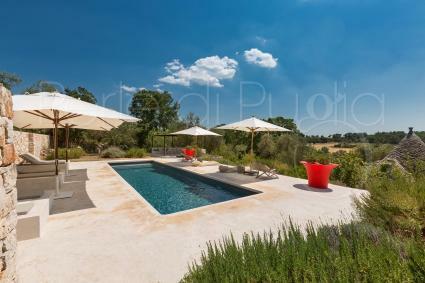 Sogno Bianco is a modern villa with pool and a panoramic view in Valle d`Itria. 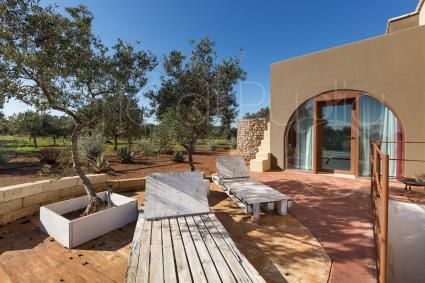 Build on the countryside of Ostuni, it consists of air conditioning, internet, alarm system, and a satellite dish. It has 3 bedrooms and 3 bathrooms, it accommodates up to 8 people. Small animals are allowed. 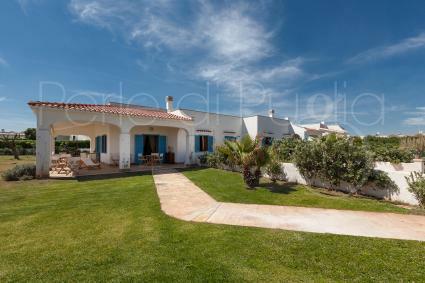 Exclusive small villa with pool in Torre Lapillo. Two-floor villa made of living room with kitchen, two bedrooms and two bathrooms, it can easily accommodate up to 6 people, equipped with porch and car park. 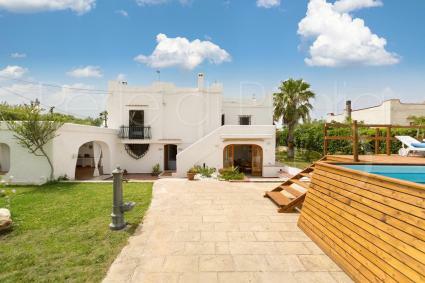 Villa Torre Guaceto is a luxury house for rent in the Brindisi area, with pool and sea view, 3 kilometers far from the beach of Torre Guaceto. The interiors are modern and refined, equipped with all the comforts, the ideal for a relaxing luxury vacation. 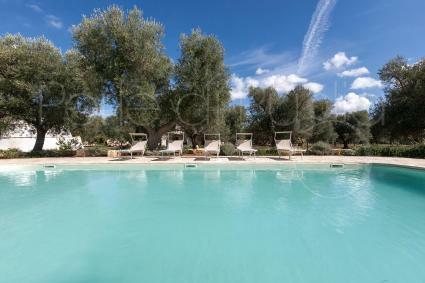 Trulli La Gaura is a charming holiday complex in Puglia. It consists of a main unit and a trullo dependance. Immersed by the Carovigno countryside, La Gaura is equipped with air conditioning, swimming pool, internet, design furnishings. It accommodates up to 8 people. 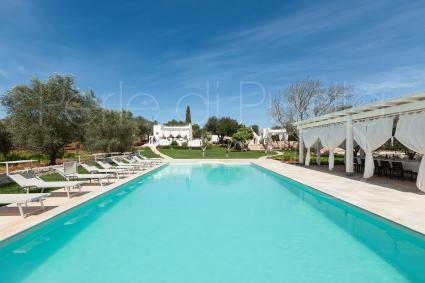 Villa Iride is a beautiful villa with pool for a vacation in Casarano, Apulia. 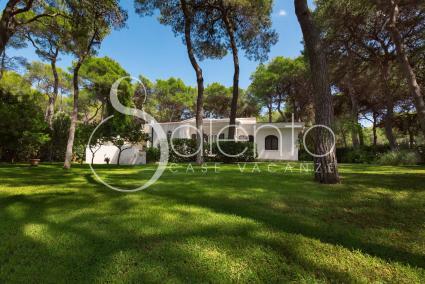 It`s in the heart of Salento, a few kilometers away from the beaches of Gallipoli and the coast of Ugento and Salve. With 6 bedrooms, it can accommodate up to 12 guests. It`s pet friendly. 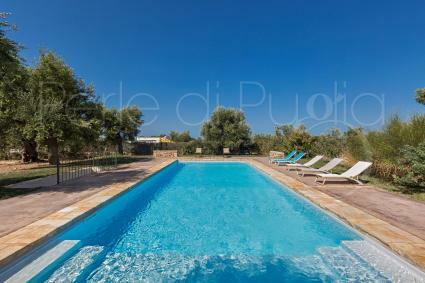 Trullo dell`Oleandro is a rural charming house with pool in the countryside of the Itria Valley. It can accommodate up to 8 guests, ideal for 4-6 adults and 4-2 children. 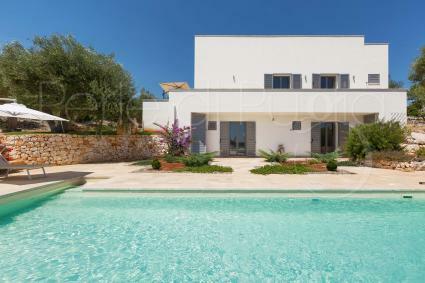 Villa Adele is a beautiful villa with pool, with airy, bright and modern rooms. 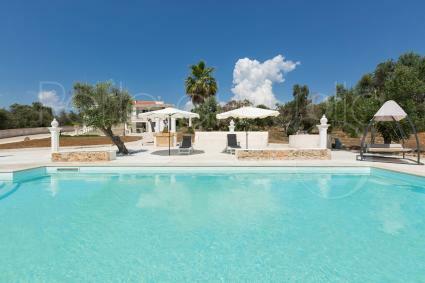 The luxury holiday home is in Maruggio, northern Salento, near the beaches of Campomarino. It can accommodate up to 6 guests and it`s pet friendly. L`Attico di Alessia is a beautiful apartment by the sandy beach of Campomarino, one of the most beautiful beaches of Salento and Apulia. It`s modern and refined, the luxury holiday home can accommodate up to 6 guests. Villa Carlita is a beautiful holiday home with pool, internet and garden near the Adriatic sea and the beaches of Torre Guaceto. 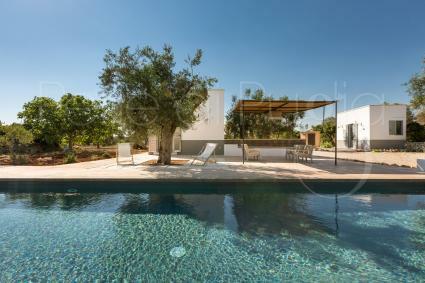 With many accessories, the villa can accommodate up to 8 guests on a relaxing vacation in Apulia. 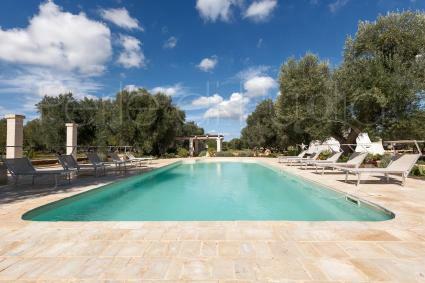 Villa Bella Cantagallo Country House is a beautiful charming villa with pool for rent, the ideal holiday home in Apulia. With air conditioning, barbecue, internet, washing machine and other accessories, it accommodates up to 7 guests. Small pets are allowed. Villa Le Due Sorelle is an estate situated in Ugento, only 5 kilometers far from the seaside town of Torre San Giovanni. Pool and garden are for exclusive use of the guests. It consists of a main unit and the outbuilding, for a total of 5 bedrooms and 3 bathrooms and 11 bed accommodations. Charming typical house in the countryside with pool. With its romantic atmosphere and its exclusive pool, it’s ideal for a couple. Situated in Serranova, Carovigno, it’s 5 kilometers far from the sandy beaches of Torre Guaceto. 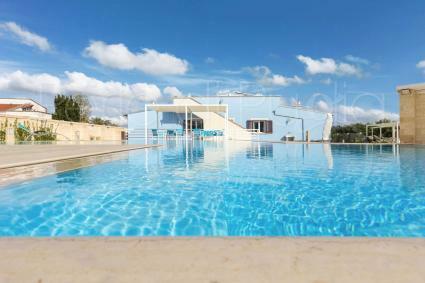 Villa Clizia is a stunning modern luxurious villa with pool, barbecue, internet, and air conditioning located in the lush olive groves of Carovigno, Brindisi. The villa is only 5 kilometers from the beaches of the Adriatic Sea. It accommodates up to 7 people. Villa Paxi is a luxury holiday home built with a modern style, to spend a vacation with sea view in Pescoluse, just 2 km from the beach and with a little pool made of stone in the garden. The interior is refined and nicely furnished. It can accommodate up to 6 people. Villa Marinelli is a luxury holiday home with a small pool, an enchanting sea view, for rent in Pescoluse. It has 4 bedrooms and has all the main comforts such as air conditioning and barbecue. the villa can accommodate up to 8 people. Animals are allowed. 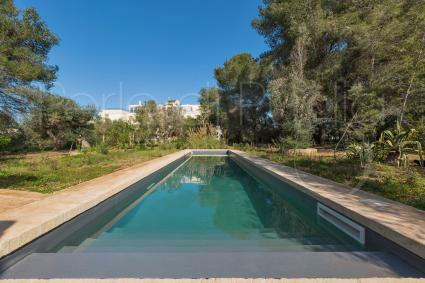 Le Site is a beautiful villa for rent near Ostuni, with exclusive swimming pool. It consists of 4 units with independent access, for a total of 8 bedrooms. It can accommodate up to 16 guests. Upon request, pets are allowed. 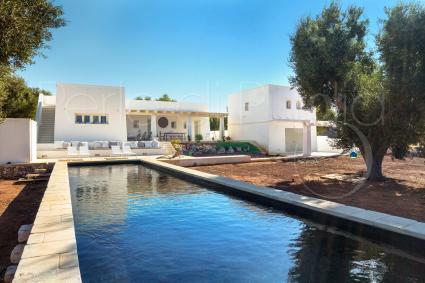 Villetta Piramo is located by the sea, in Fontanelle, marina di Ostuni. It has a beautiful garden, an enchanting view, 3 bedrooms and 2 bathrooms, ideal for a vacation in a group up to 6 people in Puglia. 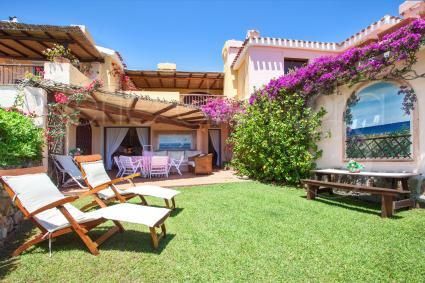 Villa Dolce Sposa is a charming holiday home within a village, in Porto Cervo, in the north of Sardinia. It has a shared swimming pool, and exclusive access to the sea and the beach which is only 10 meters away. Accommodates up to 10 people. Pets Allowed. he trulli Ion are a typical trulli for a autentic holiday in the Valle d`Itria. They are renovated and they posses all the modern accommodations you need such as airconditioning, wi-fi, a beautiful swimming pool. It has 4 bedrooms and it can accomodate up to 9 people. 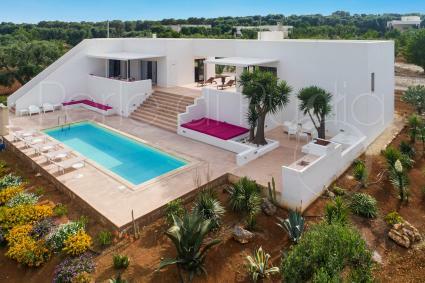 harming Mediterranean-style villa with an exceptional location and direct access to the beach of Marina di Ostuni (Villanova).It has 2 double bedrooms, 2 bedrooms with bunk beds and 4 bathrooms. It can accommodate up to 6/8 people. 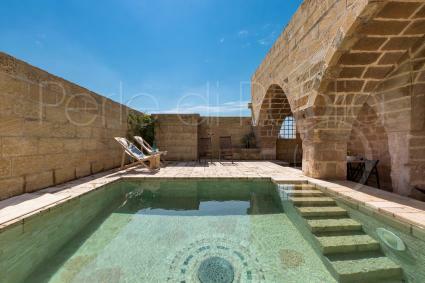 Villa Miramare is a front sea villa with a swimming pool and garden, on the coast of Torre Suda marina, a few kilometers from the south of Gallipoli. The luxury rental house consists of 4 bedrooms, 3 bathrooms, and it`s ideal for groups up to 8 people. Pets are allowed. Charming architecture with a beautiful view on the sea, beautiful pool in a pine forest and a natural park, elegant rooms with every accessory: Villa Fontanelle is the ideal solution for your vacations in Apulia. It can accommodate up to 10 guests and it`s pet friendly. 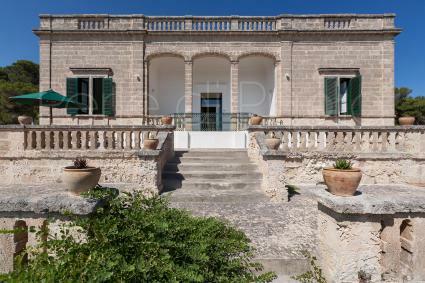 Villa Dorella is a luxury seafront villa in Santa Maria di Leuca. 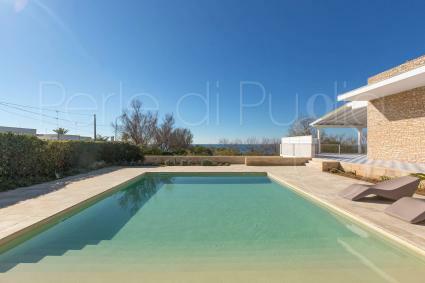 Panoramic view, refined and its outdoor space make it the perfect luxury holiday home in Puglia near the sea. It`s built on 2 levels and has 6 bedrooms and 5 bathrooms. It can accommodate up to 14 people. Casa Ambra is a charming villa in Carovigno, near the protected natural reserve of Torre Guaceto and less than 3 kilometers away from the sandy beaches of the Adriatic coast. It consists of 2 bedrooms and 2 bathrooms and it`s ideal for up to 7 guests. Pet friendly. 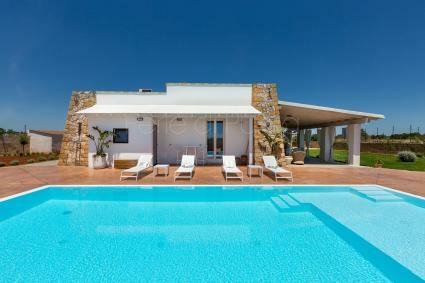 Villa Satis is a beautiful villa with pool for a dream vacation in Apulia in the heart of Salento, near Gallipoli. It`s equipped with modern accessories such as air conditioning and internet conection, the villa can accommodate up to 8 guests. 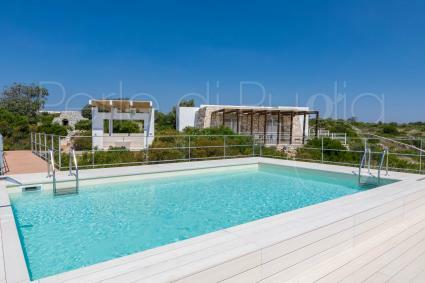 Villa Araucaria is a charming villa with pool located in the upper Salento, 15 km from Ostuni and the beaches of the Adriatic coast. The property includes a main residence and two guesthouses for a total of 4 bedrooms and 4 bathrooms and a maximum capacity of 8 + 1 beds. Seafront historic villa in Santa Maria di Leuca, where you can have a vacation dedicated to your well-being. With its 5 bedrooms, it can accommodate up to 10 guests. 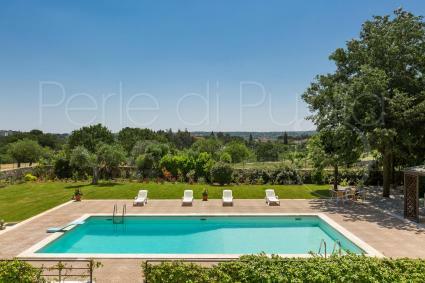 Villa Pignatelli is a villa with pool in Lequile, near Lecce, built on two levels, with garden and tennis court. It consists of entrance, living room, dining room with kitchen, 5 bedrooms, terrace and 4 bathrooms. The villa can accommodate up to 12 people. 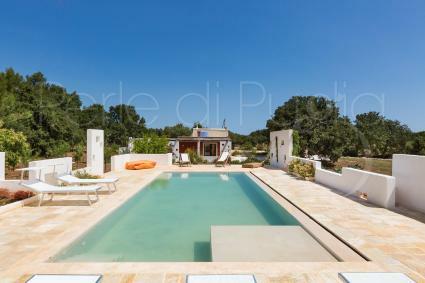 Divided into 3 independent unites, Tenuta Gianfredi is a beautiful villa with pool and all comfort to spend a unforgettable vacation in Puglia, in the heart of Salento. It has air conditioning, internet,… and can accommodate up to 12 people. Villa Vincenti is located in Ruffano, 15 km from the sea and 20 minutes by car from Gallipoli. It has a garden with swimming pool, 3 bedrooms, 2 sofa beds, 3 bathrooms, a large outdoor space and 2 gazebos at private use. It can accommodate up to 10 people. 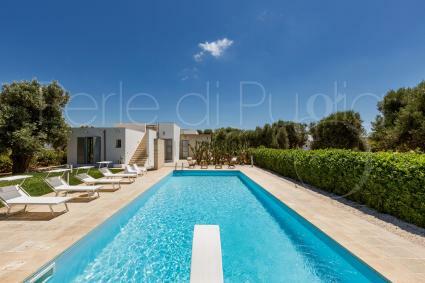 Il Cappero is a charming villa made of trulli with pool surrounded by vegetation, halfway between the beautiful towns of Ostuni and Cisternino and 15 kilometers away from the sea. It`s equipped with internet connection, air conditioning and every comfort and it can accommodate up to 8 guests. Domus Filii is a beautiful villa in the countryside of Monteroni, near Lecce, in the heart of Salento. 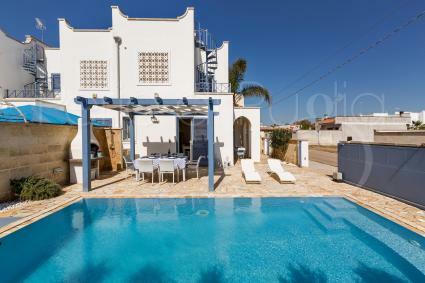 It`s ideal for a vacation in Salento and it`s a two-floor villa with a big garden, an above-ground pool, big rooms and 5 bedrooms. It can accommodate up to 9 guests. It`s in the countryside of Ostuni, Martina Franca and Cisternino, in the heart of the Itria Valley. Villa delle Rondini is an exclusive villa with swimming pool, barbecue, internet, air conditioning. It can accommodate up to 6 guests, pets are allowed. 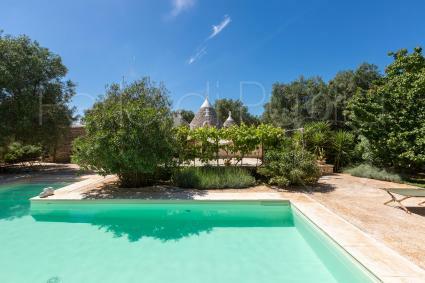 Villa Corte del Camedrio is a complex of 8 luxury trulli completely located around a characteristic courtyard. There`s a pool in the garden, air conditioning and wi-fi. 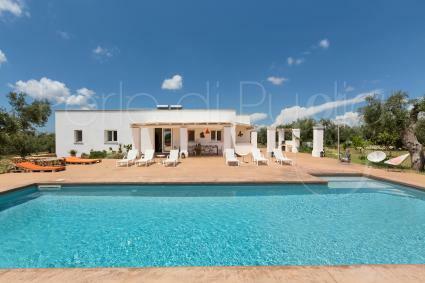 The rental villa is ideal for groups in Ostuni. It can accommodate up to 18 people. Villa Teresa is a historic house finely restored and well finished, two kilometers from the center of Casarano, in the heart of Salento, and just 7 kilometers from the beaches of Ugento. Surrounded by greenery, it has a capacity for 8 people. 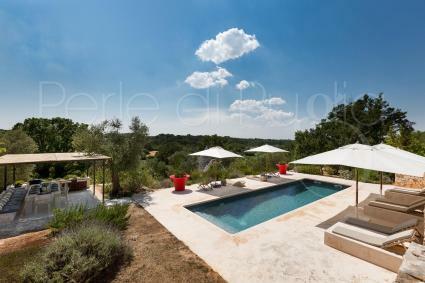 Dream-like view in Villa Ricci, exclusive villa with trulli, pool and internet in the Itria Valley, near the beautiful medieval town of Ceglie Messapica and the beaches of Ostuni. It`s ideal for a vacation with family or a group of friends, it can accommodate up to 12 guests. Pets are allowed. 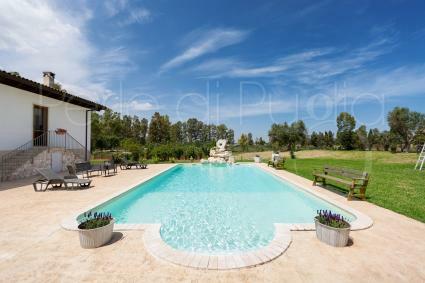 Villa Pizzi is a big house with pool for vacations in the countryside. It`s in a 500-hectar property, the villa consists of 3 bedrooms, living room iwth kitchen, 2 bathrooms and outdoor equipepd areas. It can accommodate up to 12 guests. 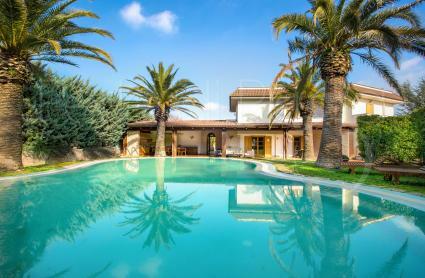 Villa Le More is a luxury villa with pool, independent guesthouse, a well cared garden, air conditioning, internet, bicycles, barbecue and all kind of comfort. 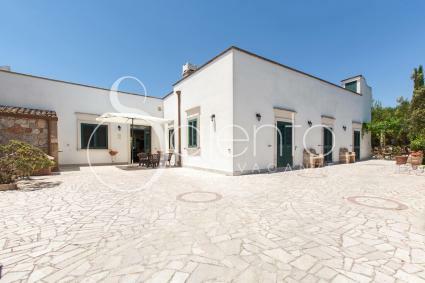 The villa is for rent to spend a vacation in Lecce, Salento. It can accommodate up to 9 people. Villa with sea view on the Adriatic Sea, located at 2 km from Marina di Novaglie and its rocky landings. It has a total of 4 bedrooms and 3 bathrooms. All around it is surrounded by vegetation and open spaces shaded by canopies ideal for lunches and dinners al fresco. 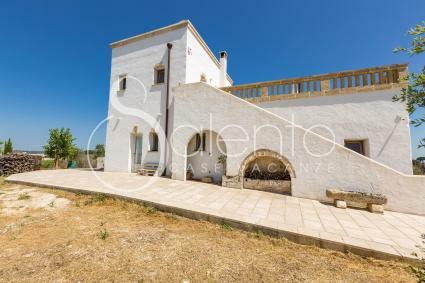 A beautiful villa in the green countryside of Noci, the modern and super-equipped villa for luxury vacations in Apulia with internet connections, barbecue grill: this is Villa Montedoro, near Alberobello. It can accommodate up to 9 guests. Pets are not allowed. Villa Celi is a villa with pool and garden for rent in the Apulian countryside, ideal for a vacation near Alberobello and Savelletri. It`s on two floors, with large outdoor equipped areas, refined furniture and internet. It accommodates up to 6 guests. Two modern villas, each with private pool, situated in Carovigno, only 2 km far from the beaches and the natural oasis of Torre Guaceto. Villa Sofia and Villa Karma offer a total of 8 bedrooms, 4 bathrooms and 4 kitchens, for a total of 18 bed accommodations. 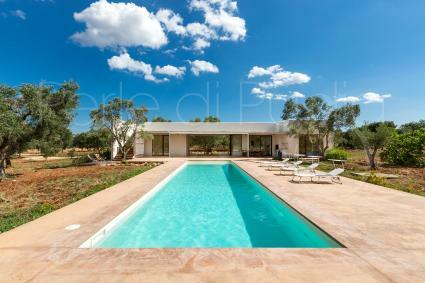 Design villa with swimming pool located in Ostuni, consisting of a main house with 3 bedrooms up to 6 guests. Swimming pool with panoramic views of the valley. Exclusive services. Maximum privacy, comfort and well-being. 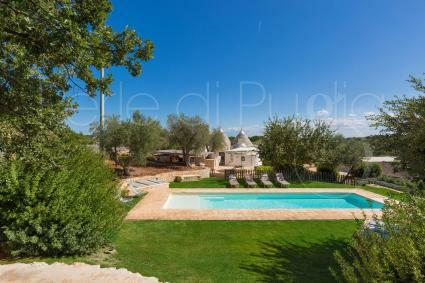 A complex of trulli and typical houses with pool located in Ostuni, in the heart of the Valley of Itria: Trullo Luna has a total of 3 bedrooms, 3 bathrooms for a total of up to 7 sleeps and an exclusive swimming pool. Rosalore and Le Due Sorelle are two rental holiday villas in Salento, Puglia, both with pool, internet, barbecue, olive grove and all the comforts near the beaches of Ugento. Together they can accommodate groups of up to 22 and 24 people. Villa Rosalorè is a charming villa with a salt water pool to spend a holiday in Salento, af ew minutes from the sea of Ugento. A designer villa equipped with internet, barbecue and all modern amenities.There’s the possibility to rent the main villa to group up to 8 people. 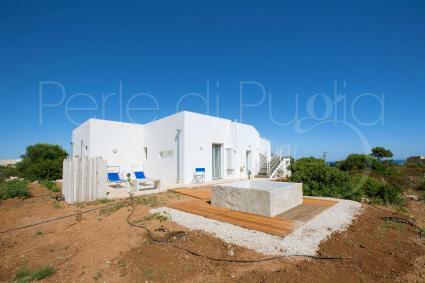 Torre Uliveto is a holiday home with pool and view on the sea, 3 kilometers far from the beaches of northern Salento. This file shows a discounted price for the use of the house, up to 8 bed accommodations, but still maintaining the exclusivity of the house. 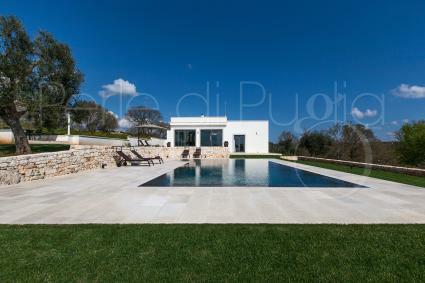 Beautiful villa for rent near Ostuni, with exclusive pool. It consists of two independent small villas for a total of 6 bedrooms and 4 bathrooms. It can accommodate up to 12 guests. Upon request, pets are allowed. 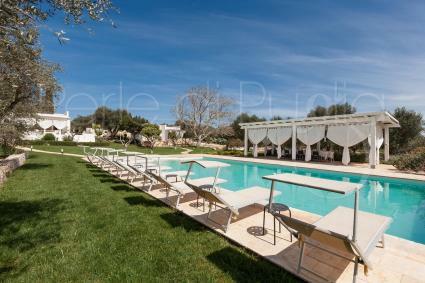 Villa Marchesini is a beautiful villa with trulli, pool, a garden and all modern comfort to spend a relaxing holiday in group in Puglia, in the area of Ostuni, just a few minutes from the beach Puglia, The villa is for rent according the number of guests. Animals are allowed on request. 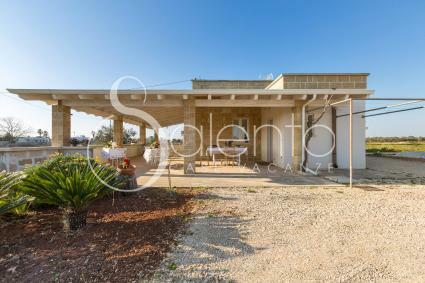 Trulli with swimming pool set in the countryside of the Valle d`Itria, between Ostuni, Cisternino and Ceglie Messapica, with 3 independent units, with a total of 4 bedrooms, 3 bathrooms and 2 alcoves. Accommodates up to 12 sleeps. 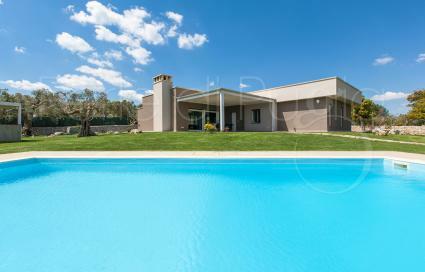 Una beautiful pool under the shadow of the palm trees, in the heart of Salento, a luxury villa with gym, hydromassage tub and other modern accessories: this is Villa Carrisi, exclusive holiday home in Apulia, near Gallipoli. It can accommodate up to 8 guests and it`s pet friendly. Villa dei Tessali is a holiday home for rent in the pine forest of the complex Riva dei Tessali, by the famous beach of Ginosa Marina. With tennis court and football fields, bicycles, playground, internet connection and so much more. The villa can accommodate up to 6+1 guests. 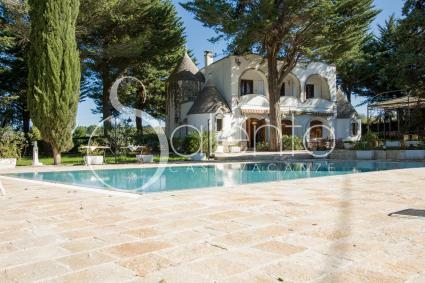 Comfortable villa with pool in the countryside of San Donato di Lecce. With a large living room, kitchenette, 2 bedrooms and 2 bathrooms, it can accommodate up to 8 guests. 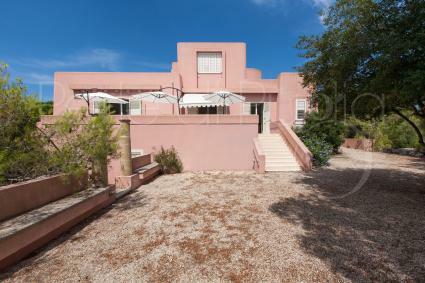 It`s 10 kilometers away form Lecce and 20 kilometers away from famous beaches such as San Foca and Torre dell`Orso. Trulli Serralta is a complex of trulli houses and swimming pools, in the pine forest, in the countryside between Alberobello and Locorotondo. They consist of a double living room one with kitchen and one for dining, 3 double bedrooms, 1 single, 4 bathrooms, It accomodates up to 7 persons. Lamia Mezzaluna is a charming house in Speziale, in the valley of the century-old olive trees, between Ostuni and Fasano. With 3 bedrooms and 3 bathrooms, it can accommodate up to 8 guests. It`s 4 kilometers away from the sandy beaches of the Adriatic coast.